By the death of George Stormont Spreckley, the Liverpool Club has lost one of the last of its original members. It was he, in conjunction with Mr. J. Gregory Jones and a few others, who in 1837 were successful in opposing the prejudices of the Liverpool Lyceum Committee, and in securing its first home for their new society. Two years afterwards, when the club had become a public institution, Mr. Spreckley accepted the office of secretary, and under his energetic management it quickly gained the reputation of being the strongest in the provinces. We believe it w’as he who was mainly responsible for the very modest challenge issued by his Club to play six members of any British Chess Club, barring London, for a stake and challenge cup. All who were acquainted with Mr. Spreckley have remarked his wonderful energy. As a Chess player he was simply insatiable. The manuscript records of the Liverpool Club are full of accounts of his matches, he had two or three always on hand with different members; with one adversary he played two of more than one hundred games each, and with his old antagonist, Mongredien, he only got beaten to begin another contest. 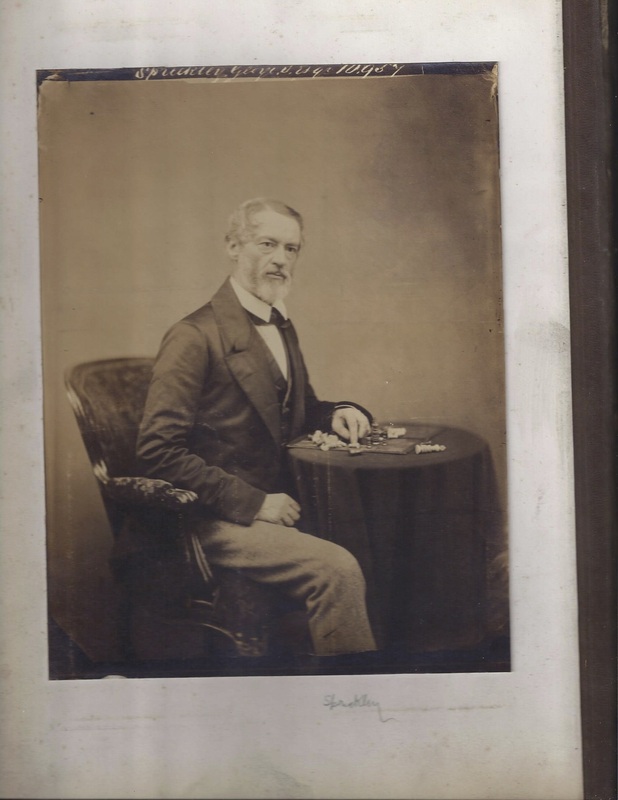 In 1849, he left England on a business mission to China, going from that country to Algiers, where he had bought a small estate. He returned to Liverpool in 1862, but his Chess career had then closed. He applied himself to business with his old energy until his retirement in 1877, when he went to live at Bath. It need hardly be said that his interest in the Club he had founded never slackened. When in Liverpool he was a daily visitor to its rooms; when away he was in constant correspondence with its members, and one of the saddest letters they have ever received was one written a few days before his death, and saying “do not write again,” He died on the 24th March 1888, at the age of 79.